Renovation work at Sri Venugopala swamy Temple is progressing well and it is nearing to completion stage. As a mark of yet another effort by the German Kamatchi Swamigal, a Hindu Service Society is Registered to take care and up-keeping the temple after consecration. 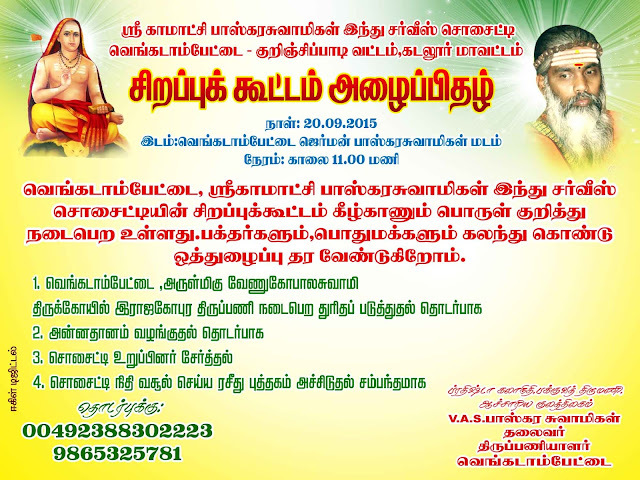 It is an objective of the Society to take up renovation of other historical temples with heritage value in Tamil Nadu. 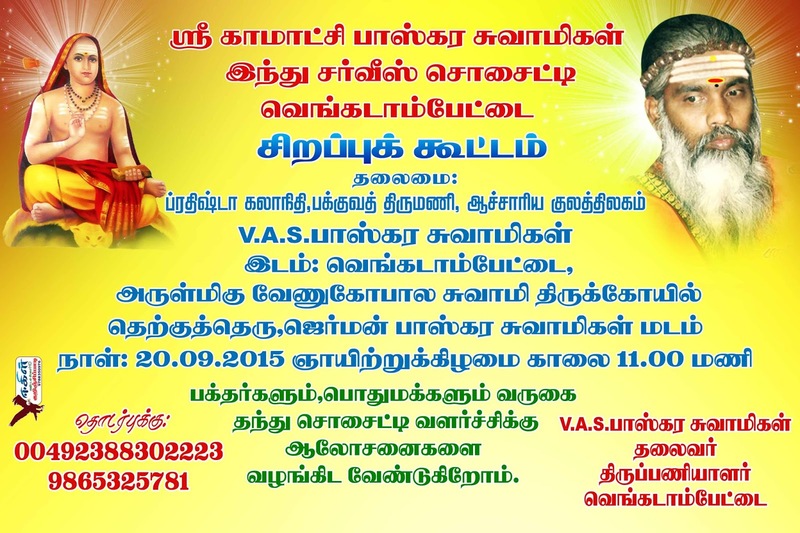 Towards this 20th September is the landmark day to start the New Society at Venkatampeai. 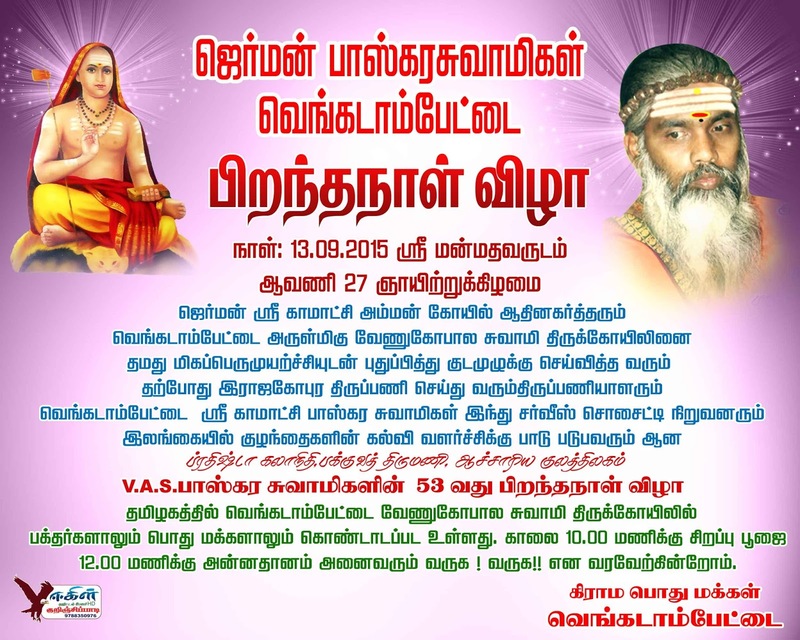 53rd Birth Day of the Swamigal is also celebrated on 20.09.2015 in the German Bhaskara Swamigal Madam at Venkatampettai. All are welcome.